In 2013 Paso Pacifico made a commitment to the Clinton Global Initiative to strengthen economic development and restore coastal environments. To achieve this goal, Paso Pacifico has begun a partnership with local women in the fishing village of Ostional in order to develop a women’s shellfish farming cooperative. This past month Paso Pacifico volunteer Angie Gerst from British Columbia, Canada, conducted an exploratory study to document the current economic and cultural systems surrounding oyster cultivation. Her study was funded by the Inter-American Development Bank’s Multilateral Investment Fund. The goal of Angie’s research was to determine the importance of oysters to household economies, the level of interest women in the community have in regards to participating in a sustainable oyster farm, and to assess the potential sale of oysters to local markets. Her results indicate a strong potential for the development of a women’s oyster cooperative. The women of Ostional have been harvesting oysters for most of their lives and have learned these practices from their mothers, grandmothers, and other members of their community. All of the women Angie interviewed have a similar method for harvesting these hearty shellfish. First they use a hammer, or heavier iron “masa”, to hit the oyster shell on the opening end until they are able to pry the shell open. They then use a spoon to scoop out the oyster and leave the other half of the shell attached to the rock until it naturally falls off. The women harvest oysters several times a week and collect between .5 and 7 pounds of oysters on each outing. Most of the women Angie interviewed reported that the harvesting of oysters damaged the beds and that some members of the community harvest too many oysters or ones that are too small. All of the women, however, indicated a strong interest in working to preserve the resource for future generations, in turn providing future jobs and income for the community. The women interviewed were also asked what actions could be taken to protect and restore the oyster beds near the community. They suggested implementing regulations to protect smaller oysters from being harvested, using different harvesting methods, and developing an oyster farm or nursery. Based on Angie’s findings, there is evidence to support the development of a women’s oyster cooperative in Ostional. This type of project would be new territory for Paso Pacifico requiring small business development, skills training in shellfish production, evaluation of market demands, and a detailed evaluation of the project’s ecological sustainability. We are excited about this project’s potential. Small-scale fisheries are vital for feeding local families throughout Central America and, if managed properly can also help restore the region’s coastal fisheries. Women are often overlooked for their role within these fisheries, and generally do not have access to technical training to sustainably manage these resources. It is fitting that women lead this transition to sustainability in fisheries, and that they and their families reap the economic benefits that shellfish production can bring. As one of Angie’s interviews revealed, the development of a women’s cooperative oyster farm in Ostional, “would be a dream come true!”. 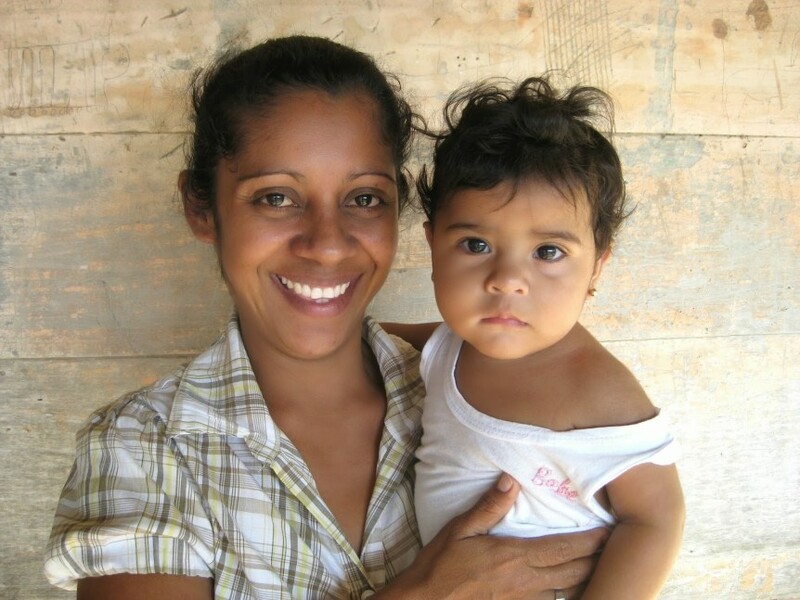 Paso Pacifico volunteer Angie Gerst spent a month visiting and interviewing the women of Ostional, Nicaragua. Women in Nicaragua are traditionally the primary cultivators of oysters along mangrove estuaries and rocky shores. All of the women Angie interviewed expressed an interest in restoring oyster habitat for future generations. A women’s oyster cooperative in Ostional could be a tremendous economic benefit for the community and would help to restore the region’s coastal fisheries. Many of the women in this community have been harvesting shellfish their entire lives and learned these practices from their mothers and grandmothers. The preferred technique to harvest oysters in this community is to use a hammer, or heavier iron “masa”, to hit the oyster shell until they are able to pry the shell open. Paso Pacifico is committed to develop a women’s shellfish farming cooperative. The rocky coastline of Nicaragua’s southern Pacific coast makes for ideal oyster habitat, like the beach pictured here. For many Ostional women, harvesting oysters is a tradition that has been passed down through the generations. The rocky Nicaraguan coastline is not the easiest place to navigate and harvesting oysters in this environment is challenging work. Small-scale fisheries are vital for feeding local families throughout the world and, if sustainably managed, can also help to restore our world’s coastal fisheries. Currently, women do not receive any recognition for their role in coastal fisheries and their contribution to the social and economic well-being of fishing communities is often overlooked. Women in Ostional average collect between .5 and 7 pounds of oysters on each outing.